April 6 2017 – marks the launch of a new ISA variant, the Lifetime ISA (LISA). One of the last surprises produced by the then Chancellor George Osborne in his final Budget was the announcement of the Lifetime ISA. Shortly after Mr Osborne was replaced it began to look as if the LISA, as it inevitably became known, would suffer the same fate. 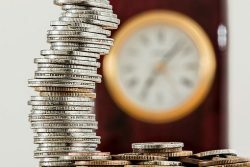 However, in September the idea re-emerged from the Treasury, with an unchanged launch date.So who is the Lifetime ISA aimed at and what are the qualifying criteria? It will only be available to you if you are aged between 18 and 39. The maximum contribution will be £4,000, which will count towards your £20,000 ISA contribution limit for 2017/18. Contributions made before age 50 will receive a 25% government bonus, so if you contribute the maximum, there will be a £1,000 government top-up. Investment rules are broadly the same as a normal ISA, meaning no UK income tax or capital gains tax. You are terminally ill and have less than 12 months to live. Initially you are likely to have only a limited choice of LISAs – most providers have not had enough time to develop their offerings because of the legislative delays. However, if you are tempted by a LISA, do talk to us before taking any action. While a LISA might look like an attractive alternative to traditional pension arrangements, it will not always be the case. And the Lifetime ISA is just one of many investments options available – it’s a case of selecting the ones that best suit your personal circumstances.